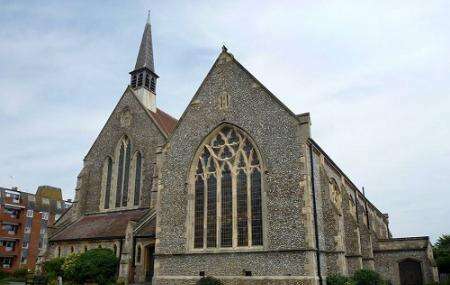 The St Barnabas Church, Bexhill is one church that will leave you awestruck the minute you spot with its beautiful old charm and gothic grandeur. It is known to follow an ecumenical or non-denominational outlook. It holds regular masses and one of the best churches to visit with families. It boasts of warm wooden interiors! Create a customized plan for your visit using the Bexhill trip planner. You can use ready templates or start from scratch for the same. Book perfect hotels in Bexhill like Shore View Hotel, Far End Guest House, Apollo Guest House and Eastbourne Riviera Hotel. There are plenty of ready-to-book Bexhill vacation packages available that will cover the major attractions, accommodation concerns including the prime one like how to reach Bexhill. Love this? Explore the entire list of places to visit in Bexhill before you plan your trip. Fancy a good night's sleep after a tiring day? Check out where to stay in Bexhill and book an accommodation of your choice. How popular is St Barnabas Church? People normally club together Shots Sports Bar and Hastings Miniature Railway while planning their visit to St Barnabas Church. Not been as a worshipper but have been to preformances and always found it a lovely space. Beautiful church and great cafe.